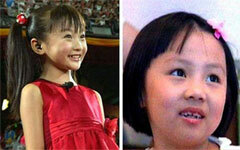 In a story that’s being covered around the world by major broadcasters, two Chinese “singers” (??? and ???) 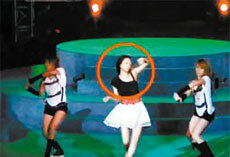 have been fined 50,000 yuan for lip-synching at a concert that took place last year in Chengdu. This is the first time such a fine has ever been issued in China, but what does it mean? Either the Cultural Bureau is making a genuine effort to clean up its reputation for falsified performances, or it’s making an example out of two small-time singers while letting celebrities get off the hook. And if you didn’t know: the vast majority of pop performances in China are lip-synched. This news traces back to the 2008 Beijing Olympics. While the Opening Ceremony impressed the world, the performance included a notable snag: a young Chinese girl who mimed the “Hymn to the Motherland” song. When it was revealed that the actual girl actually singing couldn’t be revealed because of her physical appearance, the was an uproar which led to China passing a new law. “No lip-synching your performances” says the law, which has just claimed its first two victims. The Ministry of Culture tells promoters they should find “real singers” who perform songs with “healthy lyrics”. Although many international pop stars are guilty of lip-synching, we’ve seen the potential for damage, no matter how big or small the clout you carry on stage is. Remember Milli Vanilli, one of the biggest international hits of the late 80’s? They fell from Grammy-winning heights to death-by-drug-overdose lows after they were revealed to be lip synching. For most performers, this is a serious charge that leads to a devastating and credibility-destroying end. It’s really unfair. 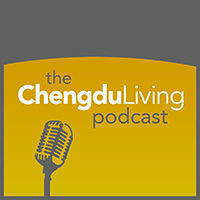 We were only back-up singers but we still have to pay 50,000 Yuan. We’ve begged the authorities to let us pay 25,000 Yuan now and then we will pay the rest in installments over the next two years. But in the end, they broke the law, as silly and heavy-handed as it might be. Should the Ministry of Culture continue to pursue lip-synchers, this could mean that actual musicians (like the suppressed Beijing Olympics singer) might get a chance to actually perform in front of an audience. Unless this is a scheme, which is not terribly unlikely, it would appear that China is willing to sacrifice its good looks in the name of its artistic integrity. Speaking as someone who would choose a great singer over a miming beauty if given those choices, this is a step in the right direction. 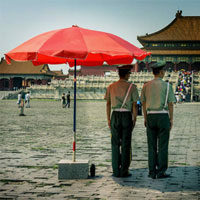 A shift in China’s music industry doesn’t seem impossible given the attention that this scandal has already incurred. The reaction among online Chinese appears mixed so far, but many are expressing contempt over the fact that mainstream stars (like Zhang Ziyi) haven’t been charged although they’re supposedly also guilty of lip-synched performances. The story goes that for whatever reason, these two are being unfairly singled out among an entire industry of fake singers. Actual Chinese superstars like Zhang Ziyi should know better than to break the law, even if she considers herself untouchable. I would be surprised to see the Ministry of Culture smite one of the country’s biggest pop-culture ambassadors, but you have to start somewhere. What do you think of this news? Were Fang Ziyuan and Yin Youcan unfairly charged, or is this a legitimate effort to gain some respect and clean up an industry full of fakers? Do you think anything will change after this? There must be something else going on here. Why bust these two? I don’t understand what’s special about this case, when presumably singers are lip-synching all over the country. Isn’t this common practice in the US as well, for some pop singers? Maybe these two didn’t pay their bribes to the Ministry of Culture. Well, I don’t know. Lip-synching has long history in China, people are already used to it. Like I said, CCTV has been doing lip-synching for long time, and other companies too. This is not the first time, they were unlucky, since there’s a law about it, local governments try to give a demonstration to show their power so they pick unknown stars. It’s 杀鸡给猴看( Kill a chicken to show a monkey). Those 2 singers are just scapegoats. If they really want to change the whole thing, they should start with CCTV. But I bet they won’t. I agree with lynx. this fine probably has more to do with local issues, contractual disputes and anything else besides the actual law against lip synching. The top down-example making approach to the issue of “fake performances” and vapid music is an empty tactic trying to fill an empty vessel. People have to demand good stuff from their artists. period.